Our range of products include twin head work light, mini metalworking lathe, work shop vice, modular precision machine vices, glow drain plug socket set 3/8" s/d (8-16mm) 6-pce and work light. 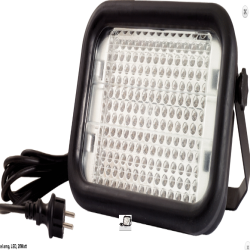 2 x 500W tungsten halogen head fitted with 5m cable and clear view plug. With tungsten halogen tube. 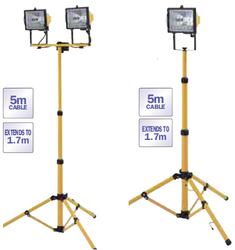 Heavy duty all aluminium tripod extends from 0.6m to 1.7m. This little gem is ideal for model making etc. 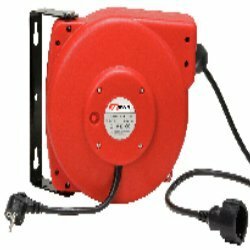 Supplied with a self-centring 3-jaw chuck, four-way tool post, swarf tray, rear splash guard, emergency stop button and chuck guard. A variety of useful accessories are available. Manufactured to meet European Machinery Directive 98/37/EC and is both CE and RoHS compliant. 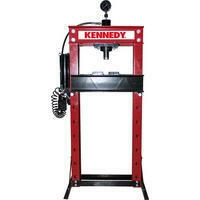 Spindle speed low range: 0-1100rpm /-10%. 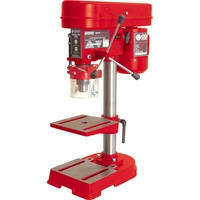 High range: 0-2500rpm /-10%. Range of threads: Metric 0.4-2mm (10 thread pitches) or Imperial 12-52 TP (8 thread pitches). Packing size: 770 x 330 x 330mm. Not warranted for industrial use. 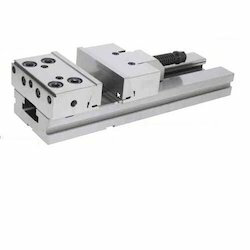 The American pattern bench mounting, vice from Senator Quality Tooling is suitable for workshop, garage and machine shop use. 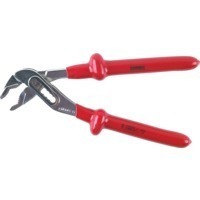 The body is manufactured from forged cast iron with steel jaws and a cross drilled threaded handle with adjustable T-bar for extra leverage and has an integral anvil just behind the jaws. The base fixes directly onto the workbench to secure the vice in position. ModularPrecisionMachineViceswidely used in tool manufacturing, on grinding machine, milling machine and for inspection purposes.The most versatile of all machine vices with all degrees of freedom, the modular precision machine allows the work piece to be set at any desired angle. We supply these products, which manufactured using superior quality raw material, appreciated due to its features such as durable, and render high performance along with smooth working. 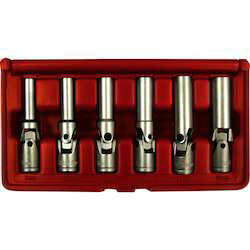 GPS060 A comprehensive set of quality glow plug sockets with universal joints for use in awkward areas. Made from satin finished chrome vanadium with a neoprene insert to grip and protect the plug. Contents: 8, 9, 10, 12, 14 and 16mm. Halogen bulb head fitted with 5 metre cable and plug. Heavy duty steel tubing. Extends to over 8 feet. 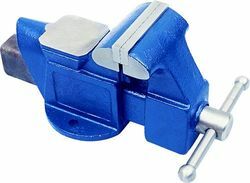 American pattern bench mounting, steel vice with anvil suitable for workshop, garage and machine-shop use.Fixed base directly mounts onto work bench. 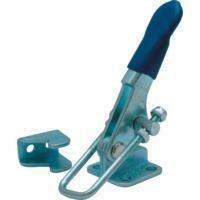 Cast iron body with steel jaws and a cross drilled threaded handle with adjustable T-bar for extra leverage. 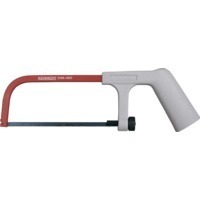 Beaver Style High impact resistant pistol grip. Steel oval section frame for strength and rigidity. Thumb screw blade tensioning. Supplied complete with 150mm (6”) 18tpi metal cutting blade. 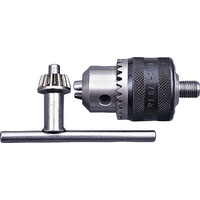 Allows quick tool change, while maintaining high precision and high concentricity. 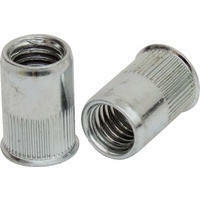 Fully hardened jaws, sleeve and retaining ring for durability and wear resistance. Self-tightening. With machined/cast steel bases and cylinder housings. Fitted with an overload protection valve. 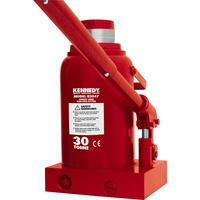 Three piece 'pumping' handle also operates hydraulic release. 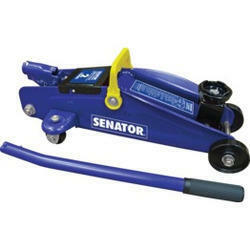 Use on a firm level surface, do not work under the vehicle until another means of support, such as axle stands, are used. Manufactured from 16 swg steel. Suitable for storing petrol. 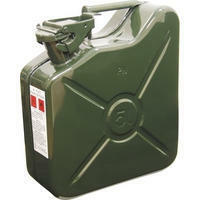 Suitable for storing and transportation of diesel, paraffin and motor oil. 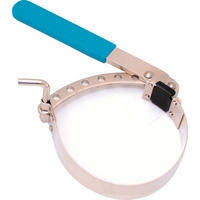 With lever type safety sealing cap and integral carrying handle. Painted outside and phosphated internally. UN Approved, Class 3. 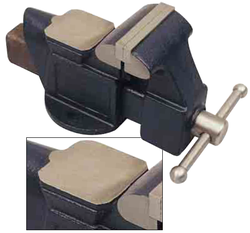 Four point fixing suitable for securely fixing bench grinders to the wall. Manufactured from heavy gauge steel, all welded construction painted finish. 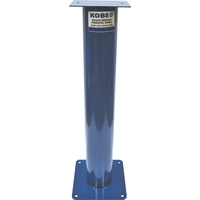 Each mounting plate can accommodate various sizes of grinder base. A crosscut is a term used to refer to a horizontal cut, made through the trunk of a standing tree. 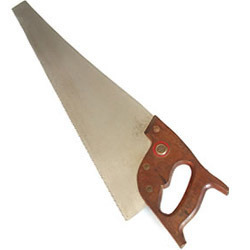 A Crosscut Saw is used to make such type of cuts, in standing trees as well as free lumber. This saw features teeth specially designed to cut the wood at right angle. As the cutting edge of these teeth is angled back, each tooth slices through the wood like a knife edge. Some saws sport alternating patterns of teeth, which help in scraping out cut strips of wood. Bucking saw, used for cutting felled trees, and felling saw, used to cut down standing trees, are two sub-types of crosscut saws. 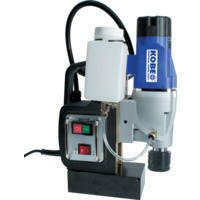 Suitable for industrial use, this compact 2-speed machine can drill holes up to 50mm diameter. It has powerful magnets with a clamping force of 17,000N/1,730kg/3,800lbs and comes supplied with safety guard, coolant tank, safety chain and portable case. Cutter capacity: up to 50mm diameter x 50mm. Twist drill: 13mm diameter x 140mm. 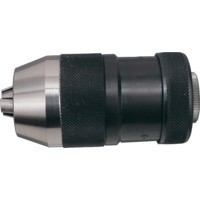 Countersink: 65mm diameter. 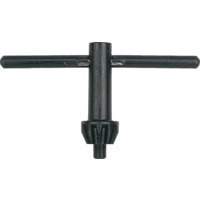 Cutter arbor: quick release arbor. Weldon shank: 19mm. Dimensions: 438 x 280 x 255mm. Weight: 15.28kg. Suitable for sealing chamber doors or mould closures. The latched bolts are threaded to allow easy adjustment and provide positive connection with latch plate. 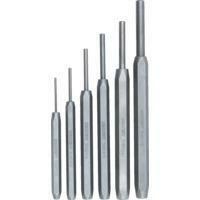 Suitable for use with all industrial keyed chucks (including Rohm and Jacobs). 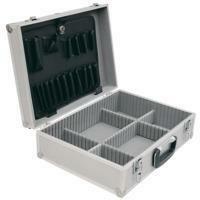 Heavy-duty case for tool storage, ideal for the mobile service-engineer. 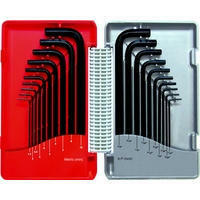 Offers the storage of many tools with the professional look of a briefcase. Silver aluminium with reinforced edges and corners. Internal base compartment is fitted with adjustable dividers to offer choice of sizes. Removable rigid tool board stored in the lid with 17 pockets of various sizes. Supplied with fixed handle and two security locks and keys. 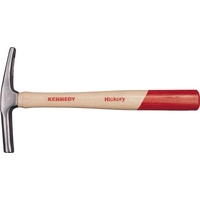 Hickory Shaft For holding and driving tacks. Ideal for pressing, bending and extruding. 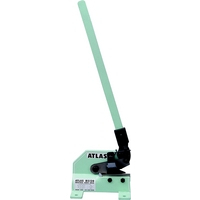 The Hydraulic pump can be manually operated or by compressed air connecting the airline supplied to an air supply line or direct to a compressor providing at least 8 - 9.5bar at 4cfm. Hydraulic gauge is included. Ideal for industrial and automotive applications. 20 Tonnes Sturdy steel frame with end braces and wide feet for extra stability. Work bed height is adjustable in 8 increments of 120mm, allowing large work pieces to be worked on with maximum flexibility. Capacity: 20 tonnes. 30 Tonnes Heavy Duty steel frame with end braces and wide feet for maximum stability. Work bed height is fully adjustable in 7 increments of 140mm, giving increased flexibility when working with large work pieces. Capacity: 30 tonnes. Hand operated, compound lever action bench shears. 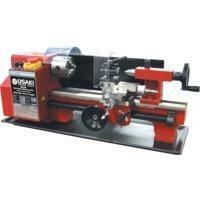 Capable of rapidly cutting through metal plate, strip and bar. Solid steel frame for rigidity and strength. With hardened and precision ground blades for accurate cutting. Adjustable blade guard. Looking for Workshop And Site Tools ?